* 20 June: Professor François B. Brunet (University of Paris VII). * 21 June: Professor Jennifer Tucker (Wesleyan University). * 21 June: Professor Christopher Pinney (University College London). 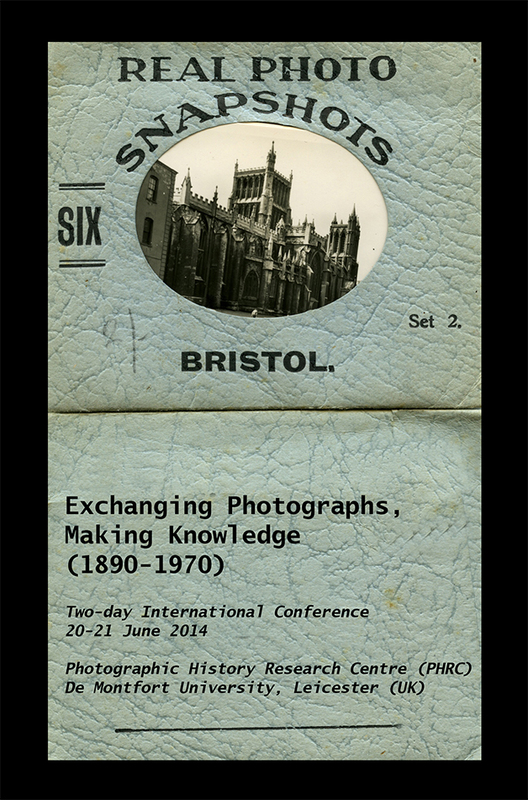 This two-day conference will explore how collectivities of photography such as camera clubs, photographic societies, commercial photographic studios, and other groups of practitioners produced knowledge about world phenomena, about local and historical events, new technologies, visual practices and techniques, as well as about photographic history itself. In recent years scholars have begun to explore the ways in which photographs have been set in motion since the early nineteenth century in a range of circumstances, both social and cultural. Foregrounding detailed information about some of the main social conditions that enmeshed the use of photography within complex networks of institutional authorities, these accounts have shown how photographic practices and meanings were created jointly, by powerful groups of professionals and organisations. While such studies have clarified that the apparatus of photography and its various functions developed through institutional negotiations with sociocultural and economic forces, systematic interrogations of more prosaic, private exchanges that influenced the development and emergence of photographic enterprises are sparse. Dominant histories of photography, with their attention on individual photographers have poignantly concealed much of the interpersonal, cross-cultural and collaborative relationships that have been at the core of the development of photographic technologies and processes, photographic images and objects, knowledge and education, as well as of the making of the hegemonic history of photography itself. This two-day conference aims to invite further interrogation of private interactions between camera users, image makers, designers of photographic equipment, writers, publishers and curators. It encourages contemplation of the impact that such exchanges might have had on the expansion of photography within the private and public, the social and political, as well as the professional and amateur terrains. Throughout the conference, we will strive to reconstruct forgotten links between histories of photography that have become isolated, as well as reestablish overlooked connections between individual subjects whose encounters, friendships, collaborations and animosities led to significant practical or theoretical photographic activities. For those requiring hotel rooms for the duration of the conference, we would strongly recommend that you make room reservations as soon as possible as the city of Leicester will be hosting some festivals during the same weekend – hotels are gradually getting fully booked. While you will be able to find a selection of hotels online, you may wish to check this option (use the Application Form option to apply for a short tenancy agreement at the Walnut Street residences, 1 and 2 nights options available at low rates).